This 3rd Grade Fractions Test can be taken at the end of the chapter to check your understanding about fractions. The quiz has ten problems: six multiple choice, three drag and drop problems, and one matching question. Third grade students will identify fractions that name part of a whole. They will also demonstrate their understanding about equivalent fractions and comparing fractions. 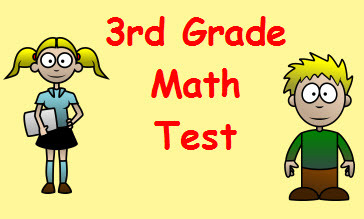 Return from this 3rd Grade Fractions Test to the Elementary Math Tests , 3rd Grade Math Tests webpage, or to Math Tests.